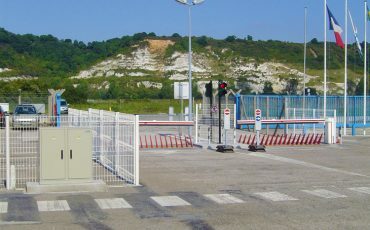 The Tyre Killer and the modular Tyre Killer SHARK offer a high degree of protection against unauthorized entry or exit of hostile motor vehicles. If a vehicle attempts to break through, its tyres and/or axles will be destroyed depending on the model. Further progress will certainly be prevented. Tyre Killers can be used individually or in combination with other products to form a sluice for vehicles. 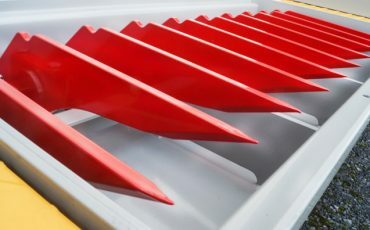 The solid sharp spikes are clearly visible thanks to garish warning colors thus ensuring the stopping of approaching vehicles in good time. 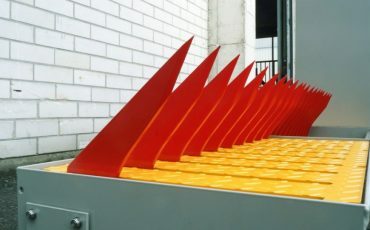 The spikes will raise and block the road with a height of 215 – 450 mm, depending on the model. 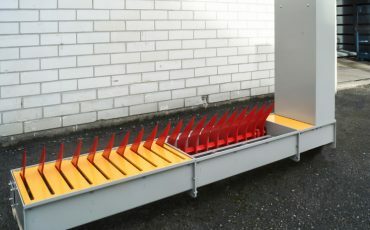 In lowered position, our Tyre Killers are completely unobtrusive, parallel to the road. 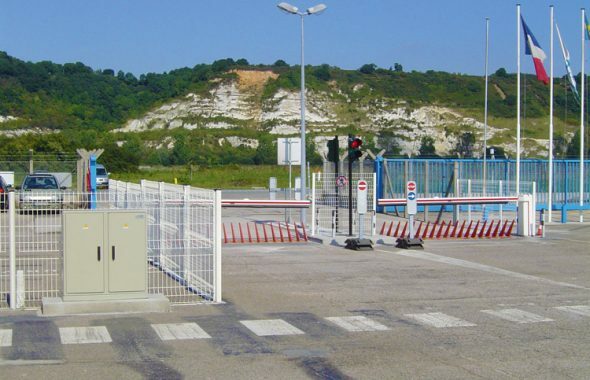 They can support wheeled vehicles with a load-bearing capacity up to bridge class SLW 60. 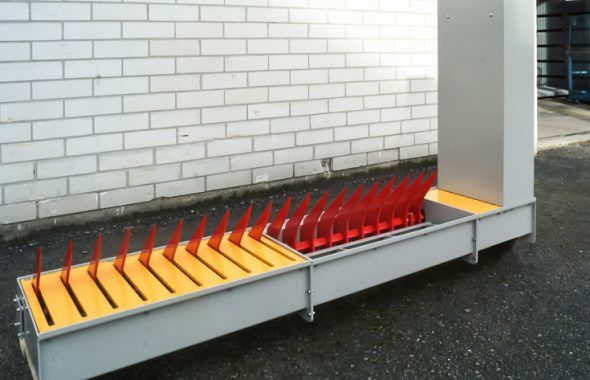 The “plug and play” Tyre Killers are characterized by a shallow installation depth. This makes it particularly suitable for locations with limited available depth due to underground utilities. Operating time Raising: approx. 2 sec., lowering: approx. 2 sec. Operating time Raising: < 1 sec., lowering: <1 sec.